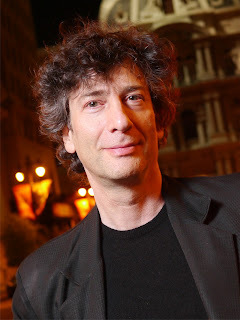 Am vergangenen Montag produzierte DC Comics' hauseigene Web Entertainment News Show DC All Access ihre erste livestream- Veranstaltung: DC All Access Live: An Evening with Neil Gaiman and Junot Diaz celebrating THE SANDMAN: OVERTURE! Im Gespräch mit dem Autoren ( und Pulitzer Preis Gewinner) Junot Diaz, zelebriert Neil Gaiman sein aktuelles Epos "Sandman: Overture". "...Join DC All Access Live and watch mythological history unfold before your eyes. With a special introduction from DC Co-Publisher Jim Lee, this promises to be an evening full of insight and surprises. New York Times best-selling writer Neil Gaiman returns to The Sandman with a prequel story to his trailblazing Vertigo series in The Sandman: Overture Deluxe Edition, out on November 10. 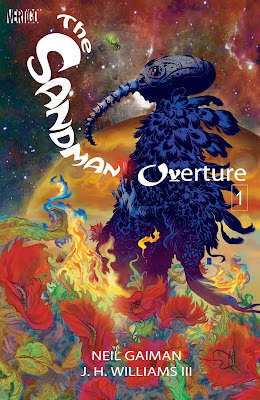 Rendered in artist JH Williams III's lush panoramas, The Sandman: Overture takes readers from the birth of the galaxy to Morpheus's capture, before the events of The Sandman #1, and sheds new light on one of the towering masterpieces in comic book history..."